Our most recent revisit to this sub-$200 bass chart was a quick one. The models we previously recommended were all still winners in our eyes, so none were removed. However, we added an extra model – the Ibanez Talman TMB100 – which really impresses in this budget market. Whether you are a beginner or a more experienced bassist looking for a low-cost bass to add to your collection, you’ve landed on the right page! For beginners, starting out with the bass guitar is as confusing as it is exciting. There are so many brands to choose from, and even more models. What most beginners are looking for is an affordable bass guitar that is both playable and stylish, and will last them until they develop their chops. Experienced bassists may be on the hunt for a second, third or fourth bass as something to leave around for practice, or something that offers a different style/sound on stage. Finding a great bass with $500 in your pocket is simple; finding a great bass in this sub-$200 price range is more difficult – although not impossible. 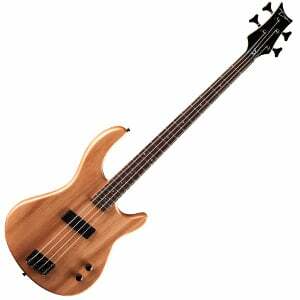 There are some excellent affordable basses out there, as we highlight on this page. In our chart we looked to find the perfect balance of price and performance, which is something all of the models on this list have in common. There is a variety of styles, so you should easily find something that fits your personal requirements. 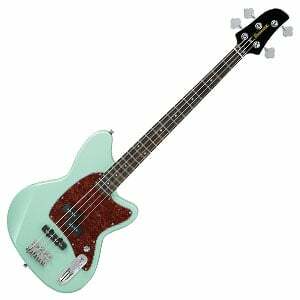 Great bass guitar that brings that trademark Epiphone performance on a budget. Great style and playability from this affordable exotic wood bass. A vintage-inspired Ibanez model with huge tone. Short scale wonder that offers a perfect balance of comfort and performance. One of the cheapest and most unique bass guitars on the market. A real eye-catcher, this vibrant Dean bass offers superb value. The first bass on our list is barely outside of our budget, but it would simply be a mistake not to include it here. Epiphone has been producing some of the best entry level bass guitars you could find on the market for decades. Toby Standard IV is just another one in this long series. What you see here is a very slick bass that features a compact radiata body, inspired by the work of Michael Tobias. Even though it looks somewhat unusual, this bass is definitely among the lighter and more comfortable ones to play in this price range. The neck is an asymmetrical design that also follows the comfort theme. In terms of electronics, you have a set of TBR Dual Rail and TBT Dual Rail humbuckers at the neck and bridge respectively. These are controlled by a master volume, blend, bass and treble cut controls. For what is essentially an entry level bass guitar, Epiphone “Toby” Standard IV sure packs a lot of heat, and style. The TRBX174EW sits at the lower end of Yamaha’s popular TRBX bass series, but this makes it the perfect prospect for beginners. The bass has a unique look, thanks to an attractive layer of exotic mango wood on the top. The bulk of the body is made from mahogany, which is quite light and well-contoured for a comfortable feel whether standing or sitting. There’s an easy-playing bolt-on maple neck with a rosewood fretboard and a full 24 frets. As we mention in our full review of the TRBX174EW it features both a split Precision-style single-coil and a Jazz-style single-coil, with tone and volume controls, for good versatility. For a mass-produced bass it is certainly punching above its weight when it comes to craftsmanship. It’s time to dial up the retro, with an Ibanez classic – the Talman, reimagined in bass form. Not just any form, but a sub-$200 model that offers a surprisingly beautiful tone for a budget bass. As we highlight in the full review of the TMB100, it sports a vintage Talman double-cutaway body made of mahogany and finished in a range of cool retro colors. The maple neck is very playable and offers a rosewood fretboard with 22 frets. The sound is huge and versatile enough for everything from heavy rock to jazz. This comes primarily thanks to the two Dynamix single-coil pickups at the bridge and neck. Throw in some reliable hardware and you have yourself a very solid option in this cheap market. Ibanez make another appearance on this chart thanks to their GSRM20 Mikro which brings together performance and style with a very affordable price. The highlight of this bass is its beginner-friendly short scale (28.6”) design, making it slightly easier to get to grips with the maple neck. In addition to playability, it looks and sounds great. The slender double-cutaway body is made of solid mahogany and finished with a sleek gloss in a variety of paintjobs, ranging from metallic purple to pearl white. This is loaded with a Dynamix P pickup at the neck and a Dynamix J pickup at the bridge, along with decent controls and chrome hardware. For the wallet-friendly price, this is a winner – as we mention in the full review as we mention in the full review. Dean is definitely no stranger to good affordable basses. Aside from their more ‘outlandish’ models, we were really interested in finding something different. Something that offers the type of experience you don’t generally find that often. Enter Dean E09M Edge. This bass brings a combination of features you don’t often see in the entry level range, and for a good reason. What Dean has managed to put together is usually considered impractical due to cheap components they have to use. However, Dean took it to the finish line. Here’s the rundown. A sweet looking lacquered body with a single soapbar pickup in the middle. That’s not something you see every day, that’s for sure. On that note, this bass guitar sounds great. The tricky thing is to get that single pup to cover the whole range with enough quality, while still maintaining the low cost. While you can’t expect perfection from these guitars, Dean definitely did a good job this time. If you want something different that looks great and sound good at the same time, Dean E09M Edge is definitely worth checking out. Time to get the sunglasses out! Dean’s Custom Zone Bass is out to make a statement, with three eye-popping color choices – Nuclear Green, Fluorescent Pink, and Fluorescent Yellow. Vibrant colors aside it’s an excellent bass that punches well above its weight in the budget market. It features a double-cutaway basswood body, with a bolt-on C-shaped maple neck, a painted maple fretboard and 20 easily-accessible frets. There’s just one pickup – a stock Precision-style bass pickup in the middle position, with an individual volume and tone control. As we mention in our complete review of the Dean Custom Zone Bass it sounds pretty good considering the price, and feels comfortable, fast and fun to play, whatever your style. The bass guitars on this page may be a small fraction of what’s actually out there in this affordable sub-$200 market, but they represent the best value and most popular choices on the market today. As you’ve seen, while there are several different styles, designs, electronics and woods, all of them have one thing in common – they offer a great core performance, and most of them are stage-worthy (providing you have a decent amp to play them through). Whether you’re a conservative bassist looking for a Fender-style bass, or you are in the market for something more exciting – such as the Dean Custom Zone Bass – these six basses should have you covered. Best of luck on your hunt for a cheap guitar!